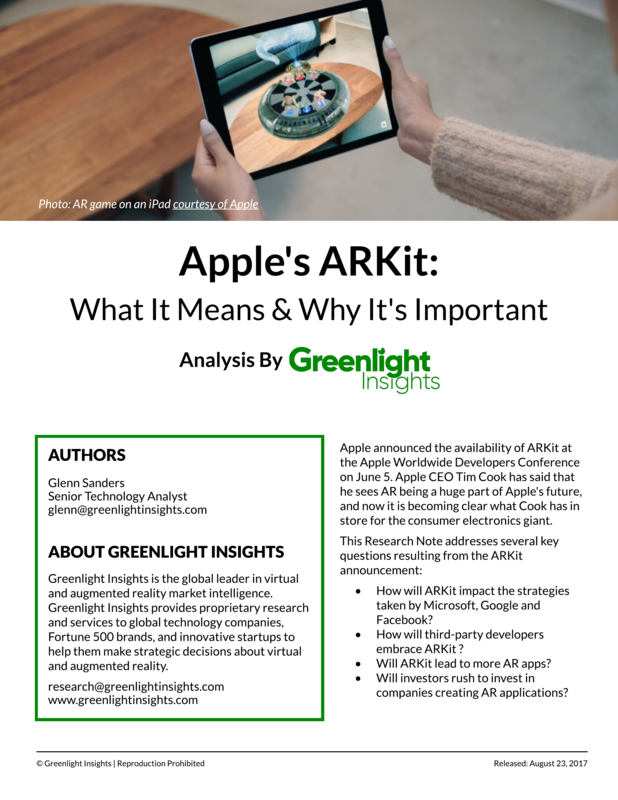 This research analyzes several key questions resulting from the Apple's ARKit announcement. Apple announced ARKit at the Worldwide Developers Conference on June 5. Apple CEO Tim Cook has said that he sees AR being a huge part of Apple's future, and now it is becoming clear what Cook has in store for the consumer electronics giant. How will ARKit impact the strategies taken by Microsoft, Google and Facebook? How will third-party developers embrace ARKit ? Will ARKit lead to more AR apps? Will investors rush to invest in companies creating new AR applications?